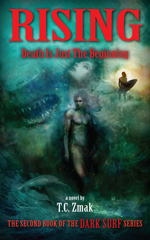 Dark Surf: The vampire series and Dark Surf Nightly blog by T.C. Zmak. The official site! 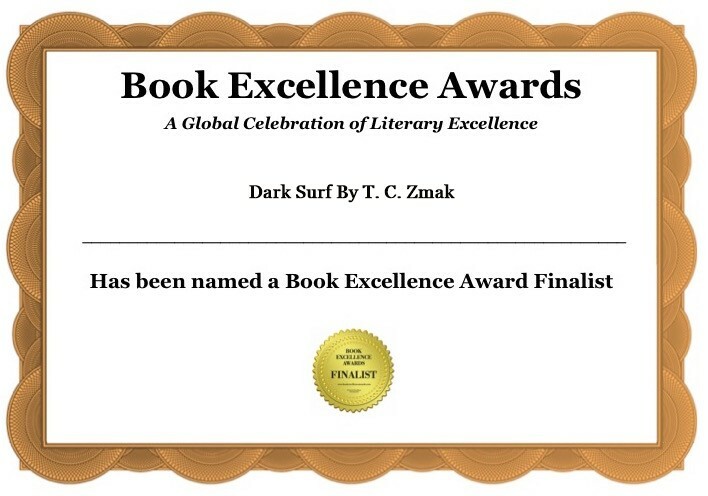 This is the 13th award for the DARK SURF novel! 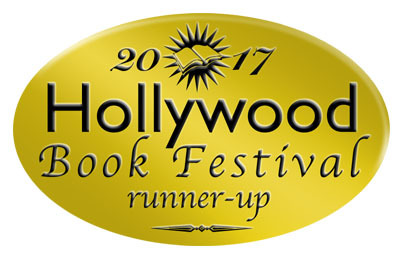 The Hollywood Book Festival names RISING a Runner-Up in Sequels! 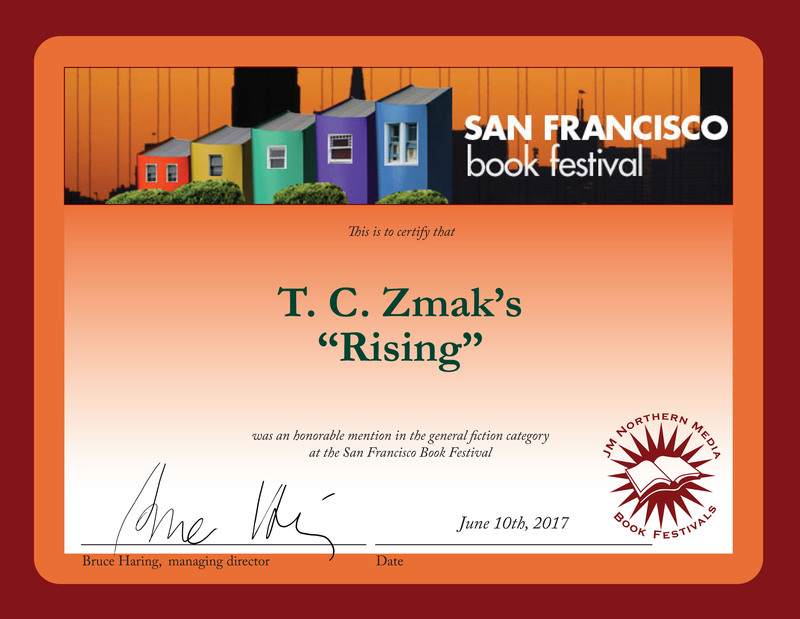 RISING just received its 9th award, winning 2nd place in the Sequels category of the 2017 Hollywood Book Festival! I plan to attend the awards dinner in Hollywood on August 18. Based in the capital of show business, the Hollywood Book Festival celebrates literature that “deserves greater recognition from the film and TV industries.” The festival considers published, self-published and independent publisher non-fiction, fiction, children’s books, young adult, how-to, spiritual, wild card, science fiction, biography/autobiography, sequels, genre-based, business, screenplays, and history. 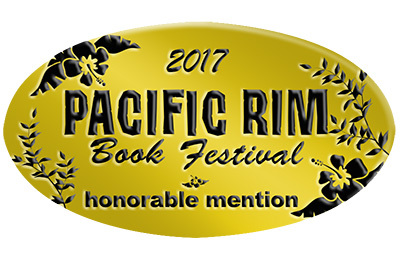 Last year, DARK SURF won an Honorable Mention in General Fiction in this festival. Fun fact: In 2013 (before it was published), DARK SURF was optioned for a movie. Ultimately, the team was unable to line up the financing to produce the movie. So, the rights are back in my hands, and now I have some good experience behind me for the next time an option comes along. Breaking news! In the 2017 Pacific Rim Book Festival, DARK SURF won 2nd place in General Fiction, and RISING was one of seven novels to receive an Honorable Mention in the same category! Both books are set along the Pacific. DARK SURF takes place in San Diego, San Francisco, and Santa Cruz, Calif. RISING picks up where DARK SURF left off, transporting the characters to Oahu, Maui, and Kauai in Hawaii, as well as Catalina Island and the cities of Marina and Carmel on the Monterey Bay in Calif.
Is there anything more amazing than a Hawaiian sunset? 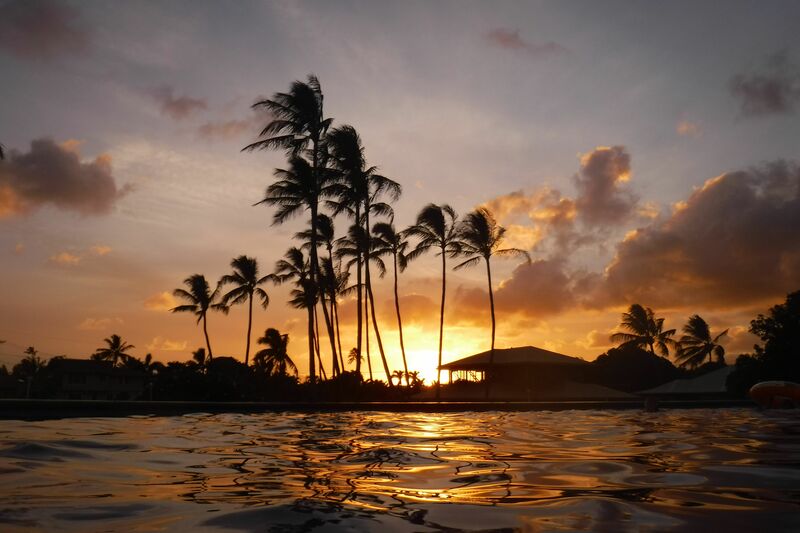 Hawaii is one of my all-time favorite places to go for writing inspiration—and it’s easy to see why. 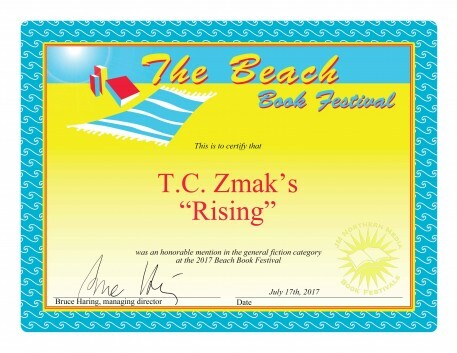 The 2017 Beach Book Festival, which spotlights the hottest reads of the summer, has recognized RISING with an Honorable Mention in General Fiction. RISING is the second novel in the DARK SURF series. 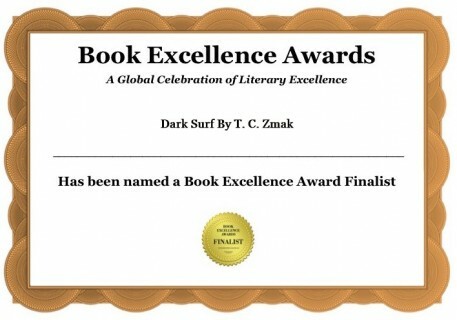 Last year, DARK SURF was the Runner-Up in General Fiction in the Beach Book Festival. The New York Book Festival recognized DARK SURF with an Honorable Mention in General Fiction in the 2017 awards program, which honors books worthy of further attention from the world’s publishing capitol. Winners, Runners-Up and Honorable Mentions will be honored at a private awards ceremony at the Algonquin Hotel in Manhattan on July 15. Alas, I won’t be able to attend, but I’m stoked to be among the honorees! The 2017 San Francisco Book Festival has awarded RISING an Honorable Mention in General Fiction. The annual festival honors the best books of the spring.  RISING is the second novel in the DARK SURF series. 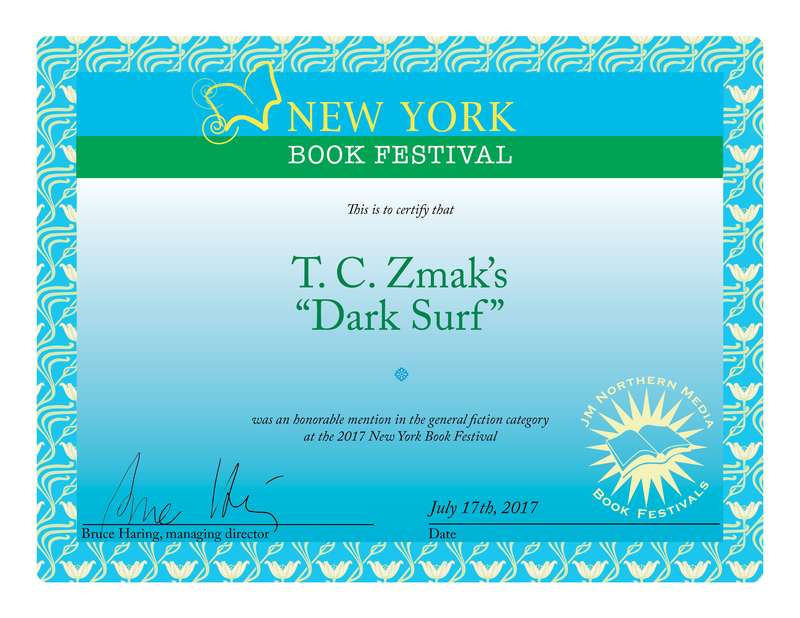 In 2016, DARK SURF was the Runner-Up in General Fiction in this festival. 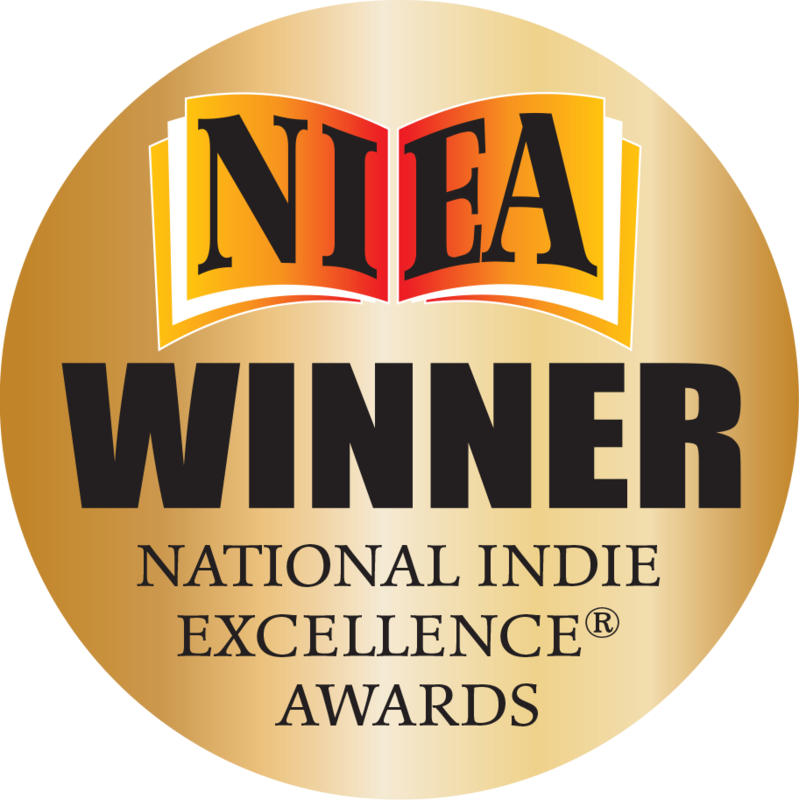 The national award is open to recent English language books in print from small, medium, university, self and independent publishers. Established in 2007, the NIEA competition is judged by experts from all aspects of the book industry, including publishers, writers, editors, book cover designers and professional copywriters. 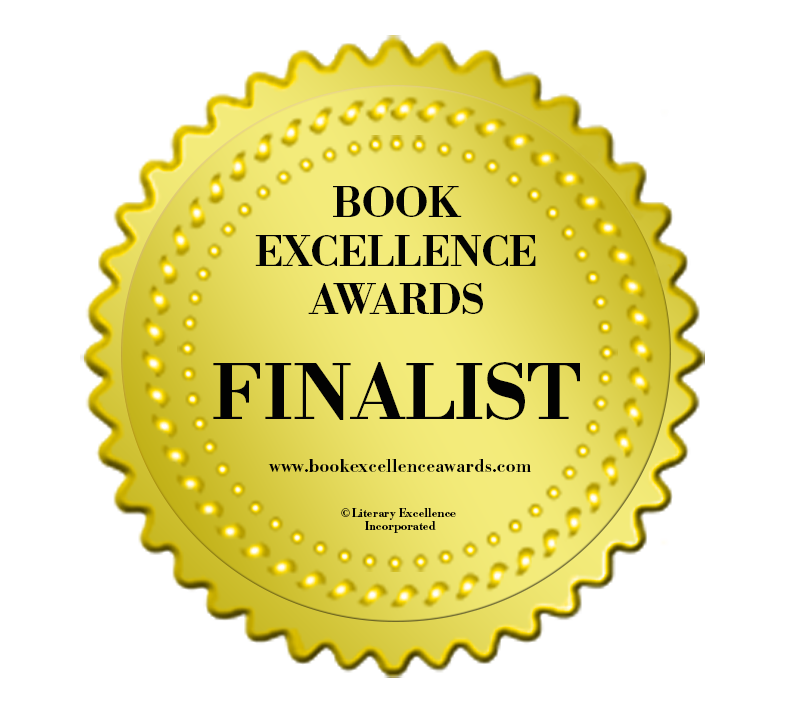 RISING just earned a review rating of 5 out of 5 stars on Readers’ Favorite! 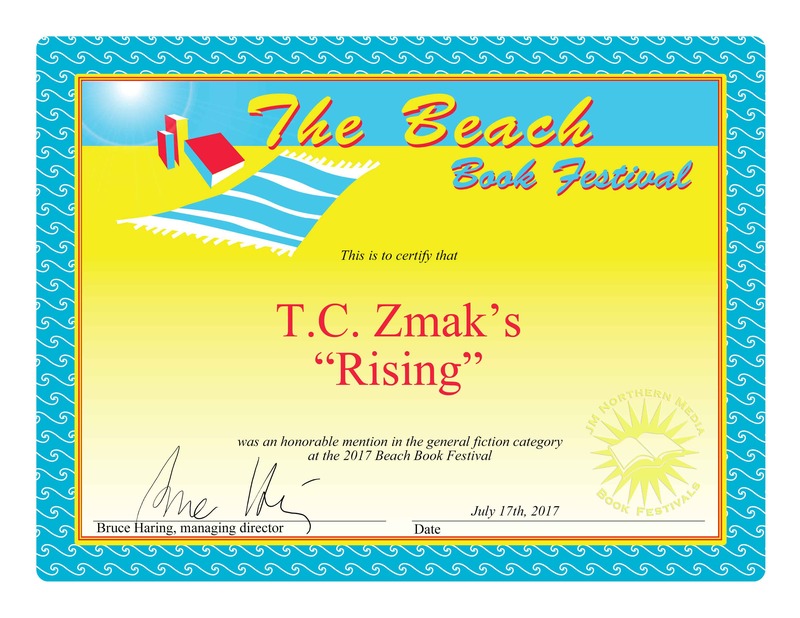 “Rising is Volume 2 of the Dark Surf Series by T.C. Zmak. When the Rogues attacked the Nomads, they bit off more than they could chew. Jake and Leilani are on their trail, chasing Dean to stop him before he can build up his clan once again, and to save Skylar from what could be the worse decision of her life. She doesn’t know what secrets Dean is hiding, what lies he has told her, and nobody could begin to guess what she will do if she finds out. For Jake and Leilani, the war is on and the bodies are beginning to mount up. But there is a new enemy in sight, one that threatens their very existence. Can Jake and Leilani stop Dean before it’s too late? Is Tristan truly gone for good? 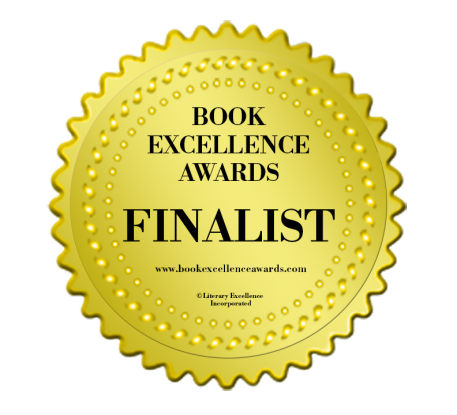 Thank you, Readers’ Favorite & Anne-Marie Reynolds! 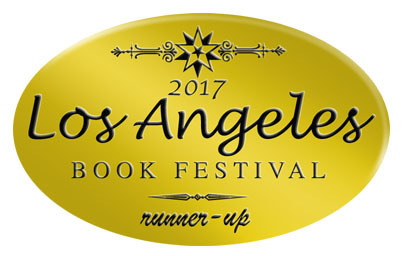 The 2017 Los Angeles Book Festival selected DARK SURF as the Runner-Up in Genre-Based Fiction, and RISING as the Runner-Up in the Sequels category. The Los Angeles Book Festival is an “annual competition honoring the best of the world publishing community.” It considers major publisher, independent publisher and self-published works in the following categories: general non-fiction, fiction, biography/autobiography, children’s books, young adult, how-to, cookbooks, science fiction, business, wild card, compilations/anthologies, sequels (for books that are part of a series), photography/art, poetry, romance, and regional literature. I’ve been invited to attend a private awards dinner in L.A. in April to celebrate with the other award winners!